We’ve had another Slimming World Fat Club Friday and we’ve all have another loss! This week I lost another 2lbs with Slimming World bringing my total up to 8lbs so I’m really happy that in the first 12 days of doing it, I already lost half a stone. I’ve been drinking more water each day, my energy levels have been raising and I feel good. I am finally slimming down. As a group we have all now collectively lost over 2 stone which I think is amazing. 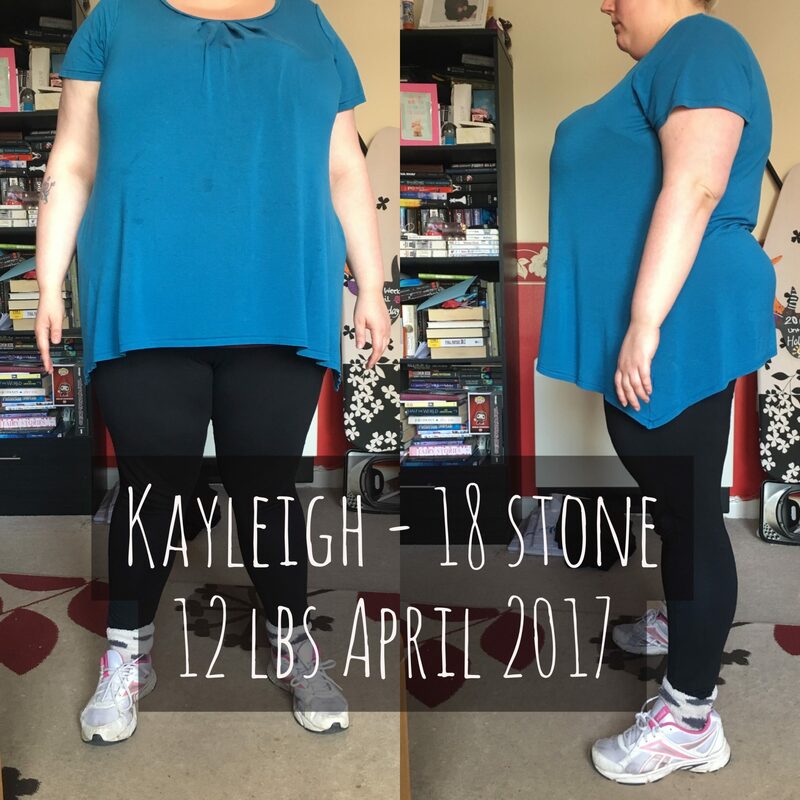 It’s been someone in the groups birthday and whilst they had a few super syn treats she was still the slimmer of the week! I think it just goes to show that if you push yourself, have your birthday treats but then get walking more and stay on plan for the rest of the time you’ll still have a loss. We are having the same this week as it’s Adam’s Birthday on Tuesday. I’ve really tried with working out this week. I’ve walked to and from school to get my steps up there and did quite well. I was over 10,000 three times but as I’m using my phone rather than a fitness tracker it’s not that accurate. I simply don’t carry my phone everywhere with me so it’s missing a few there for sure. I also did a boxing fitness class which I really loved but it was so hard! I felt great afterwards and the day after I was so stiff! This time it only lasted for one day and I’m seeing it as my body getting stronger.I’ve also started the Beachbody Slim in Six DVD again which has a section working with a resistance band. I feel really proud of myself for shifting 8lbs. Getting past 18 stone is the next milestone for me. I know continuing with my slimming world success, I will be there at the end of this month. Thursday was the hardest day. I felt so stiff from the boxing class and was so tempted to just give in and order a takeaway. It had just been a bit of a rubbish day waiting round for deliveries. However, I stuck with it and had my soup then started my bullet journal. I wanted a way to record my weight loss and help keep me motivated. I have wanted to bullet journal for ages and I will be using it to plan our meals and keep track of my weight loss. I haven’t really been craving anything in particular and I haven’t gone out shopping to buy loads of rubbish if I’ve felt peckish. Food has been on my mind a lot but I think I’ve just been really looking forward to going to dinner. 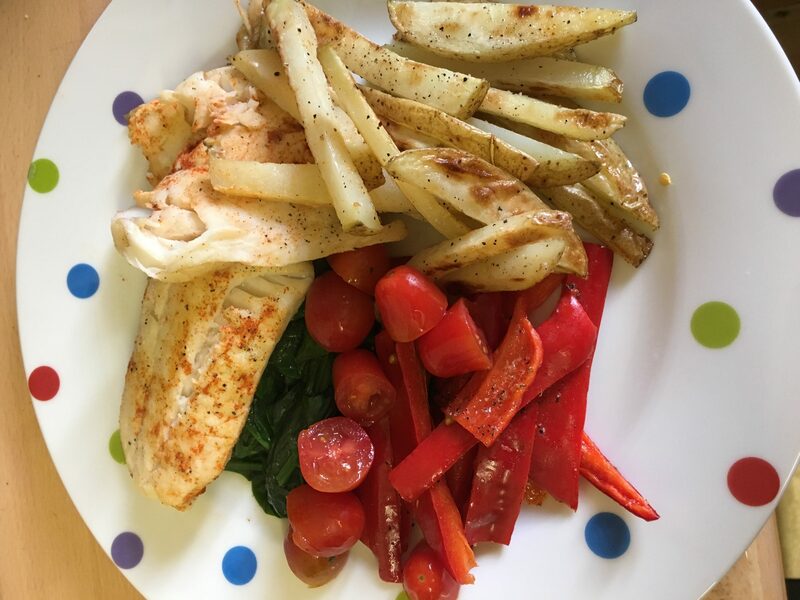 Meal planning has helped and I’ve been reading through the Slimming World food optimising books to help me. We kicked off the celebrations with a trip to our favourite Thai restaurant and ate so much food. We didn’t really bother with the syns because we just wanted to have a good night with friends. Today we are having a totally syn free Sunday so we can get back on top with our slimming success. Tomorrow we’re going to Pizza Express for lunch with some family and I am going to have the Legera Pandana (I think?) Pizza which is apparently under 600 calories and 22.5 syns. Usually the daily allowance is 5-15 syns a day so having a syn free day today and lower syns throughout the week I’ll be taking advantage of the flexi syns for sure! 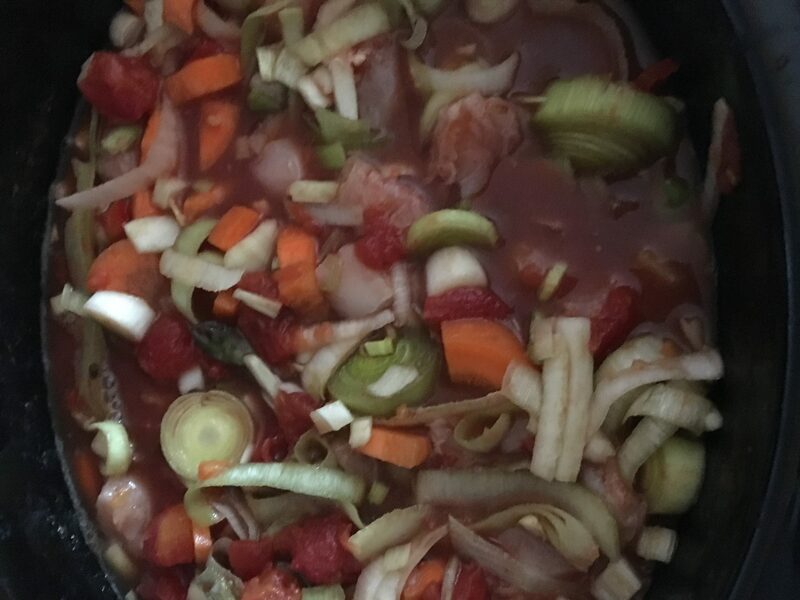 Adam’s planning a Chinese takeaway for his birthday and I am going for a bowl of hot and sour soup – my favourite, for 5 syns, and then I’m making him a birthday Slimming World Tiramisu which is 6 syns per serving. After that we are back on it and will continue to do so before our holiday to Cornwall in July. This week we ate really well. I love the Cod and chips we had, that was really delicious. Evie helped me make our own cheese and bacon burgers too. I used my Healthy Extra B with my Burger in a bowl by cutting it open and having an open burger. The mustard dressing was very nice. I did use a type of cheese that wasn’t included in the Healthy Extra A list and if I had used cheddar it would have been fine but I fancied something different and added 9 syns for the cheese. 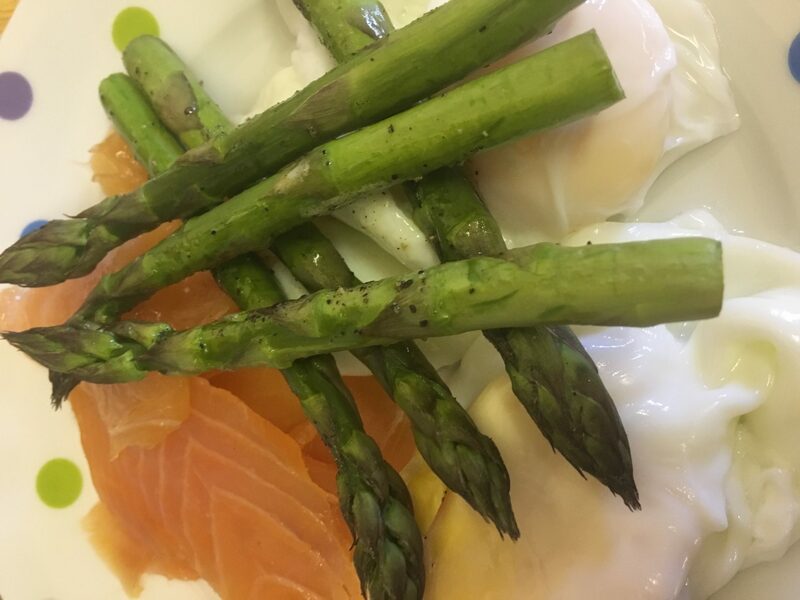 Having poached eggs with asparagus and smoked salmon made a nice change too. Our Friday night dinner was a tasty portion of cherry cola chicken followed by a white chocolate and mint yoghurt mousse. We are all still learning what we can and can’t have but we don’t feel restricted in anyway. It’s been great experimenting a little bit and I have absolutely loved cooking properly again. Our meal plan for this week is full of lots of salads. I think we will be attempting our first Exta Easy SP plan the following week to give us all a weight loss boost! Monday – Muller Light yoghurt with fruit, Pizza Express Lunch, Chicken and crispy potatoes with salad. 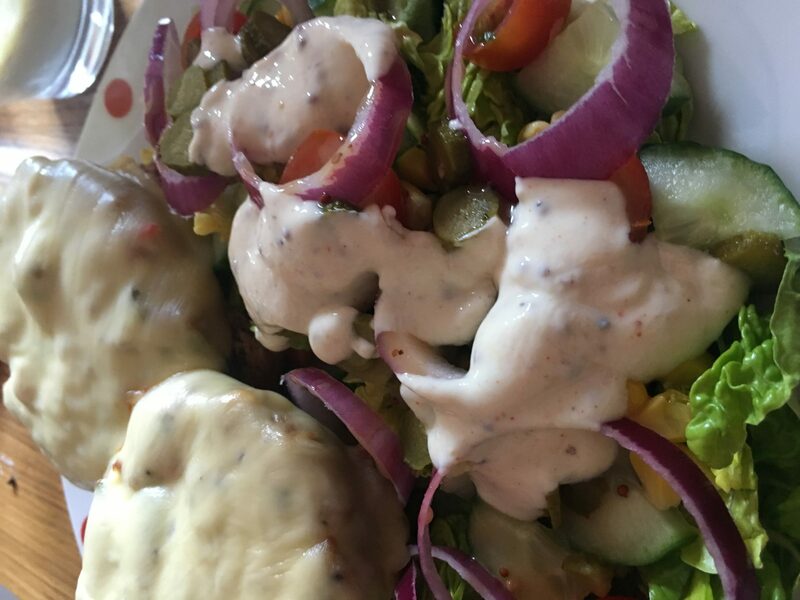 Sunday – Grill up, Chicken Tinga wraps (9 syns per serving), Tuna Jacket potato with spring onions, cucumber and sweetcorn. How has your week been? Are you currently trying to slim down? 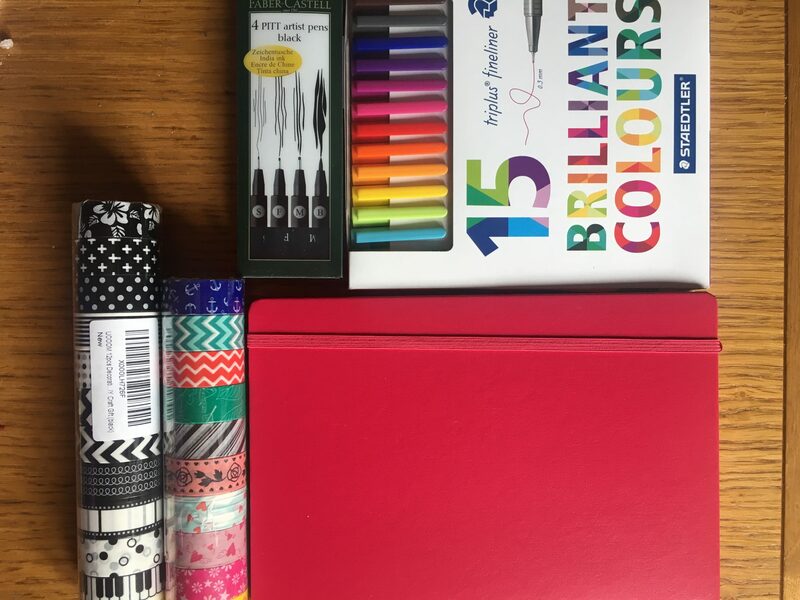 I envy your bullet journalling accessories! Food looks great, well done you! Ah thank you to amazon there haha!